I also included the photo below for the fun, fairy factor. ;) This is one of my favorite things that we did while in the Magic Kingdom~ getting Tinked! I included this one for the specks of shiny silver (as well as every other color of the rainbow!) glitter in my hair. 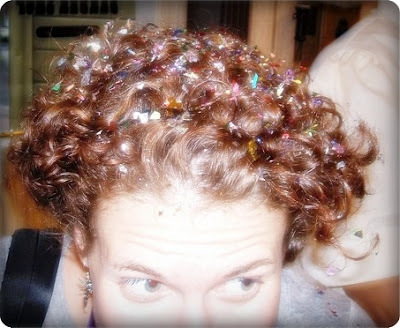 I think it took DAYS for this to completely come out of my hair, but it was so fun! 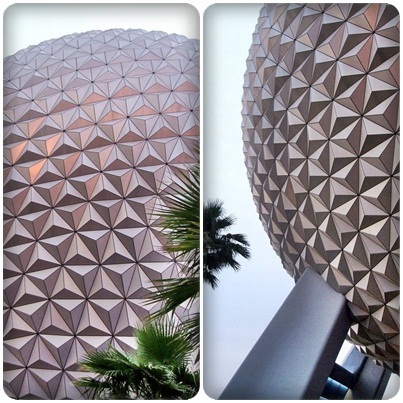 The Epcot ball is definitely SILVER at it's best at WDW! But, I love your pixie-dusted hair - too fun! What a great shot of you being Tinked! What fun!